What?! An 80s song without synthesizers or drum machines? Yes, Virginia, they do exist. Say hello to The Georgia Satellites. Formed in Atlanta in the early 80s, the group started their career the old-fashioned way — gigging from bar to bar in the South for beer and pocket change. A couple of years later, after tightening up and developing their chops, they entered a small Atlanta studio to lay down a quick and dirty six-song demo tape with the intention of shopping it around to record labels. Unfortunately, they broke up shortly afterwards and everyone joined other bands. End of story? Of course not. A tiny independent label in England released an EP with some of the songs the group had recorded and it started drawing favorable attention from the press and from major labels. One small problem: The Georgia Satellites didn’t exist anymore. It seemed a propitious time to get the old band back together. In the end, 50% of that goal was achieved. Original lead singer Dan Baird joined the current band of original lead guitarist Rick Richards and a new Georgia Satellites was born. Elektra Records signed the band in 1986 and threw a pile of cash at them to record their debut album. Everything proceeded smoothly until they tried to recreate a track from their demo tape called “Keep Your Hands To Yourself.” Despite numerous attempts, they couldn’t capture the magic of that cheaply made first recording. So that’s the take they used, despite the fact that the drummer and bassist weren’t even in the band anymore. 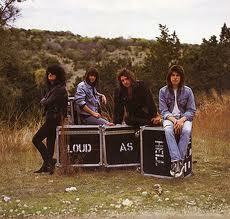 However, those guys were soon well compensated as the single shot up the charts, peaking at number #2 in early 1987. 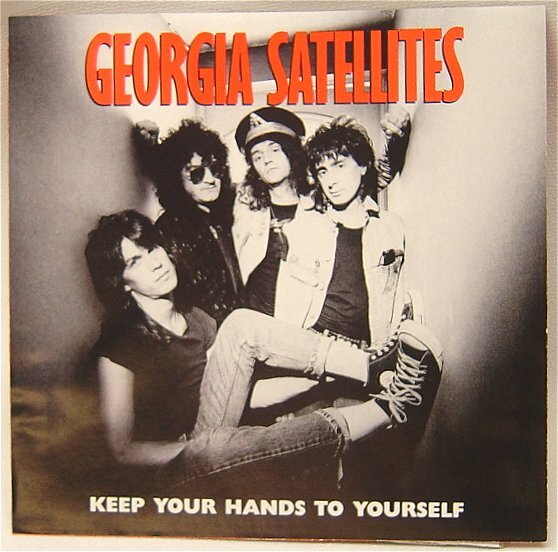 The Georgia Satellites released a few more albums and singles but never even cracked the Top 40 again. Sometimes the magic graces us but once. So don’t give it too much thought — just jing-a-ling-a-ling whatever you got.